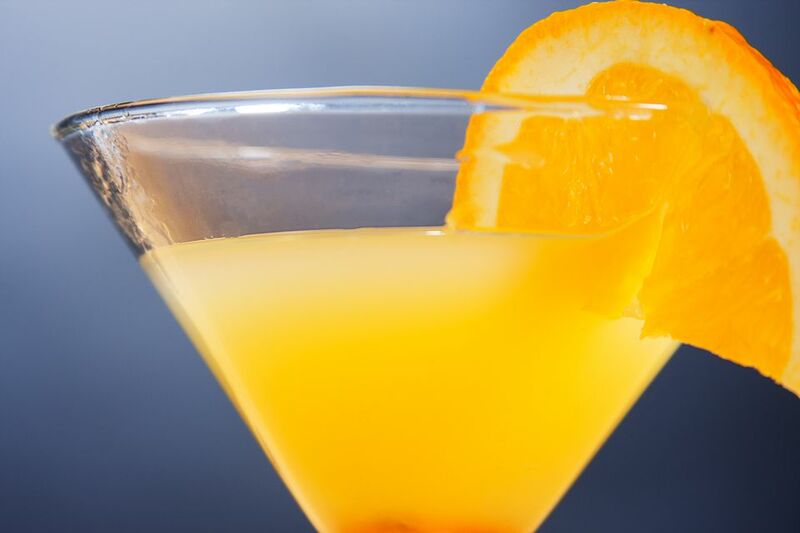 The Bronx cocktail is a simple variation of a perfect martini that adds orange juice to the mix. If you are looking for a classic martini that is not as dry as some, this is a great option. It's perfect for a meal and it's really nice any time you simply want a good gin cocktail. The story of how the Bronx was created has been questioned many times over the years. It's generally accepted that Johnnie Solon created it at the Waldorf Astoria sometime shortly after 1900. The remarkable thing is that Solon didn't drink himself. Nonetheless, as you will see, he had the uncanny ability to create great drinks. If you like this cocktail, with a few adjustments you can make a Will Rogers cocktail. Simply shake 2 ounces gin with 1 ounce each dry vermouth and orange juice, and finish this classic recipe with 4 dashes of curaçao. Though it's not as crucial as it is in the original martini, choosing a top-shelf gin will make a better Bronx cocktail. The orange juice will cover up some impurities, but the real beauty here is tasting how the fruit plays off the botanicals in both the gin and vermouth. With each new gin you pour, you'll experience subtle differences in the flavor, so have fun exploring your options. London dry gins will be a full-forced botanical array while softer gins like Aviation or Hendricks will impart their own unique flavors. Don't rule out genever, Old Tom Gin, or Plymouth Gin, either. These old-school gins were used a lot back in the golden era of the bar, so they're a perfect match for this classic recipe. Beyond the recommendation of choosing quality dry and sweet vermouth, it's also good to remember that it goes bad. If you make a few martinis here and there, you might not use up a bottle before the flavor begins to turn. This can make a big difference in the taste of your Bronx. Generally, the shelf-life on a bottle of vermouth is three months and it should be refrigerated. To help you remember when you opened it, write the month and year on the label with a permanent marker before putting it away. Since the orange juice plays such a prominent role in the Bronx, consider fresh-squeezed orange juice for this recipe. The freshness it brings to the drink instantly upgrades the entire experience. You should be able to get enough juice for two or three drinks out of a single orange. In the least, choose a high-quality juice from the store to match the quality of the other ingredients you selected. How Strong Is the Bronx? That orange juice also helps bring the alcohol content of the Bronx to a level that's lower than the average martini. This is good news if you're looking for a casual drink without the heavy buzz and why it's one of the best gin martinis for brunch. On average, the Bronx weighs in at just 18 percent ABV (36 proof), making it a little stronger than a glass of wine.